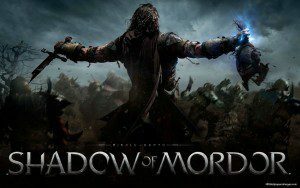 This Gamasutra article explores how Warner Bros. Games’ studio Monolith designed the Nemesis gaming system of Middle-earth: Shadow of Mordor using Self-Determination Theory (SDT) concepts. What made this game distinctive from other games was the Nemesis system and its ability to enable narrative and a player-driven story supportive of the basic psychological needs, which facilitate enjoyment and engagement. Last year, WB Games studio Monolith had an unexpected hit with the release of Middle-earth: Shadow of Mordor. It’s a superb game overall, but it was the game’s Nemesis system, and its ability to facilitate player-driven story and narrative, that really made the game standout from the typical triple-A relase. Michael de Plater, design director on the game, gave a quick run-down of the system at the DICE Summit in Las Vegas. “How can we make narrative out of the gameplay?” is the question at the core of the Nemesis system. One way to find an answer to that question was to identify player “needs.” de Plater and his team used psychological theories as reference points when looking to satisfy player needs through Shadow of Mordor. One applied theory was the self-determination theory, which says human beings have three fundamental needs: Competence (they need to feel effective in dealing with environment); Autonomy (they need to control the course of their lives); Relatedness (they need to have relationships with others). Shadow of Mordor and the design of the Nemesis system sought to satisfy those three elements. de Plater also said Player Experience of Need Satisfaction and GNS Theory (which attempts to explain how RPGs work) were also highly instructive in the making of the Nemesis system.